Marketing & Business Support, Help your business grow with dedicated group marketing & business support - Associated Carpet Group Ltd.
Get your business noticed with custom designed marketing collateral specifically created for independent carpet retailers. 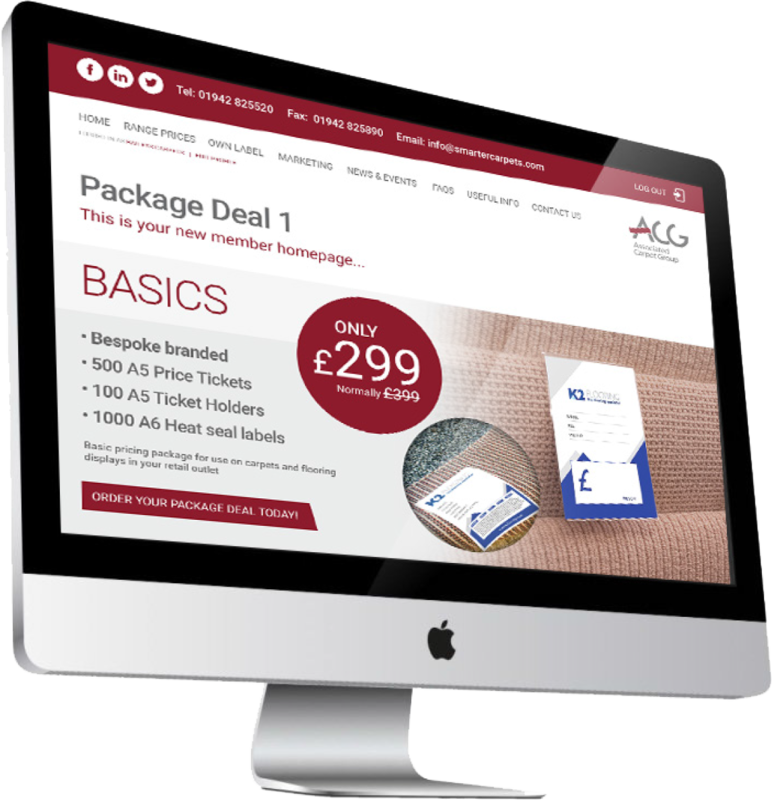 From a simple price ticket or iron label, to a new responsive website or a company re-brand. Our dedicated design agency are on hand to provide all the marketing tools you need to help your business grow, all at competitive, pre-negotiated rates! Reinforcing the strengths of independent retailers - Quality, Trust, Service, Value and Advice. Promoting ‘Own Label’ to help combat the powers of the multiples. Making the consumer aware of the competitive prices offered by independent flooring retailers. Supplying a dedicated website www.smartercarpets.com where members get a FREE MICRO-SITE and inclusion in the postcode search. Members get a unique log in with access to exclusive pricing and deals. Order subsidised POS displays or cost effective marketing package deals. Get your business noticed with custom designed marketing packages specifically created for independent carpet retailers. There has never been an easier way to bring your store's online presence up-to-date. Our marketing team have a library of thousands of supplier images. Simply tell us the suppliers you would like to feature on your site and we handle the rest for you.